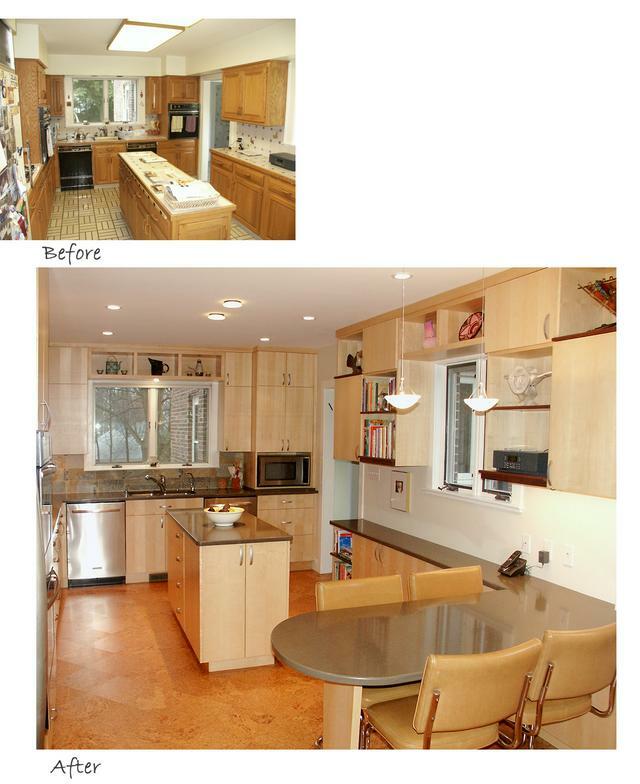 Our clients had just purchased a new home and wanted to remodel the kitchen before they moved in. 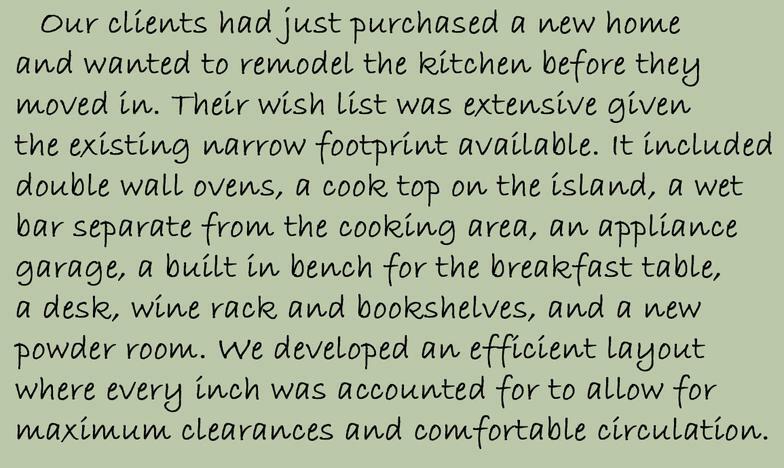 Their wish list was extensive, given the existing narrow footprint available. 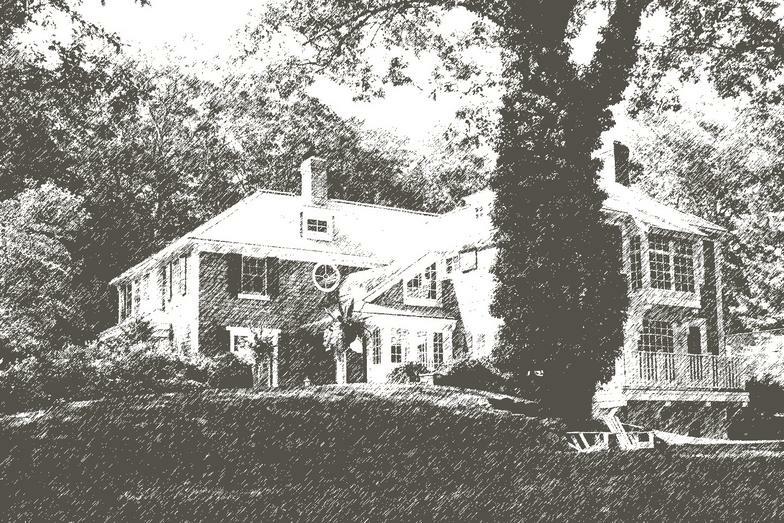 It included double wall ovens, a cook top on the island, a wet bar separate from the cooking area, an appliance garage, a built- in bench for the breakfast table, a desk, wine rack and bookshelves, and a new powder room. We developed an efficient layout where every inch was accounted for to allow for maximum clearances and comfortable circulation. 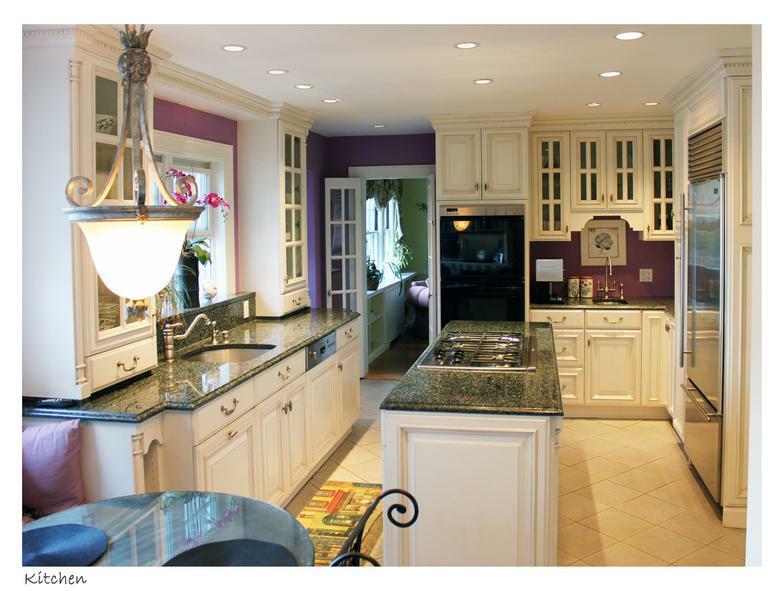 Our clients came to us after spending many years thinking about a new kitchen. 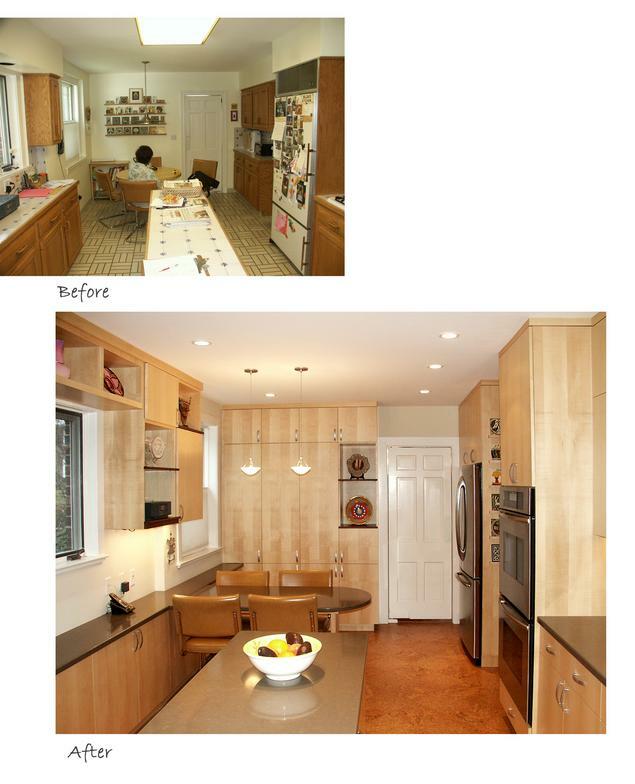 They wanted contemporary flush maple cabinets a wider island then the existing one and a comfortable sitting area where they could eat and work. 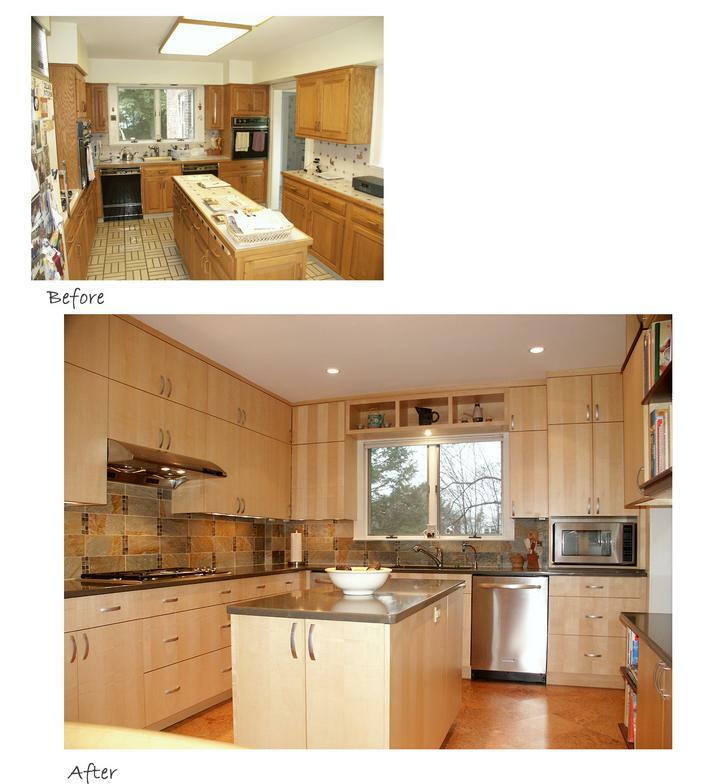 They also wanted to maximize storage and preferred no glass doors in the cabinets. 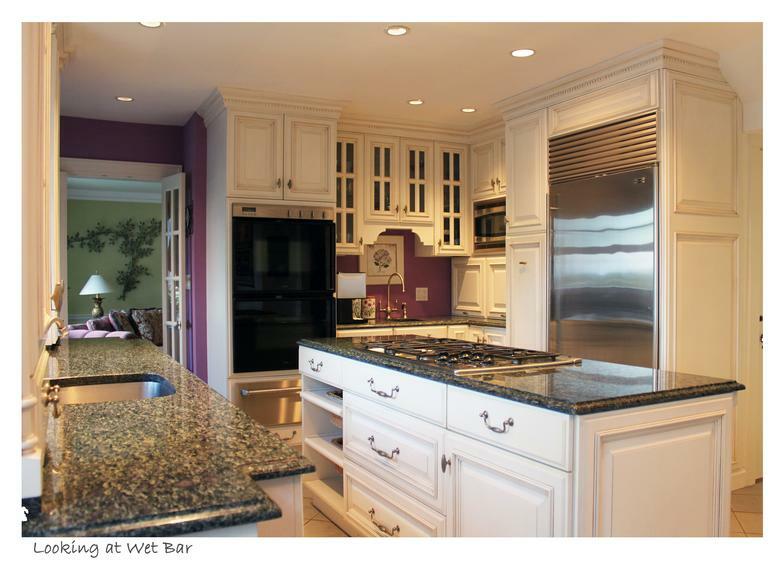 The space we had to work with was too narrow for 2’ deep base cabinets on each wall and a 2’ deep island. 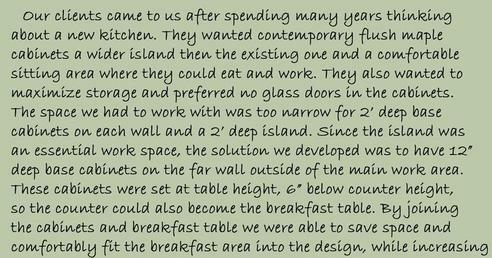 Since the island was an essential work space, the solution we developed was to have 12” deep base cabinets on the far wall outside of the main work area. 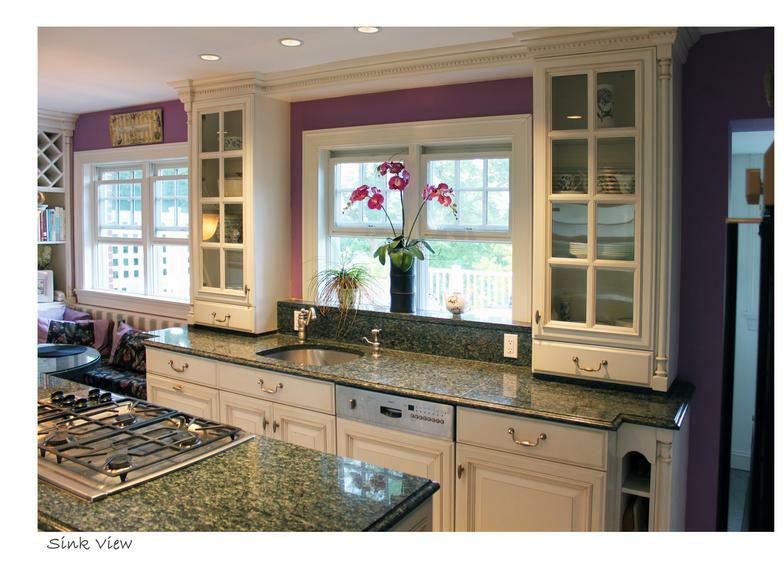 These cabinets were set at table height, 6” below counter height, so the counter could also become the breakfast table. 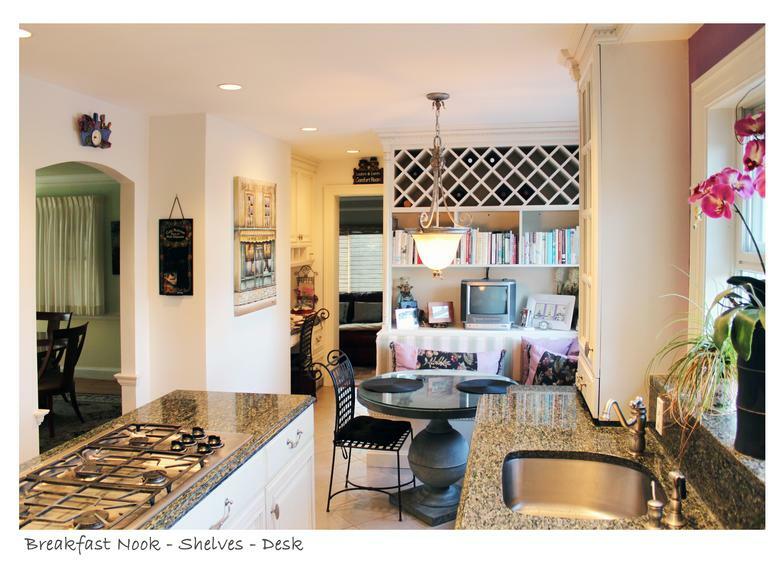 By joining the cabinets and breakfast table we were able to save space and comfortably fit the breakfast area into the design, while increasing the storage capacity of the kitchen. In addition, because the clients had an amazing collection of beautiful crafts from all over the world and because we also wanted to break up the continuous mass of wall cabinets, we introduced space for the crafts in the design.